Dunedin is a small town in Florida nestled in Pinellas County, which is home to beautiful beaches and parks for you to visit. While here, you want to be able to enjoy all that the area has to offer and to do so, you need to be free from tooth pain. Who wants to spend their vacation cooped up in a hotel room nursing their abscess or cavity? No one. Caladesi Park, the Pinellas Trail, and John Chesnut Senior Park have many fun activities nestled into them that you don’t want to miss out on. If you are experiencing any type of dental pain, know that there are Dunedin emergency dentists available to help you. The team at Emergencydentistsusa.com want you to have the information you need available to your fingertips. Because of this, they have compiled a list of emergency dentists available in Dunedin, who can help you. All you need to do is take a peek at the list online and choose the dentist that best meets your needs. The list is made available to you 24 hours a day, for your convenience. If you are unable to view the list online or you are in a hurry, you can call our toll-free dentist finder hotline. Our team members will assist you in finding an emergency dentist in Dunedin. We will even schedule your first appointment for you. We do recommend that you take your insurance card, ID, and copayment to your appointment with you. Dental pain is not fun and it can be debilitating. You may not know where to turn, especially if you are new to the area or you are just visiting. Fortunately, there are many emergency dentists available in Dunedin and we are confident that with the help of our directory, you will be able to find one nearby. In addition to emergency dentists, we also provide you with options for dental specialists to include orthodontists, oral surgeons, cosmetic specialists, and more. Description: At Dunedin Family Dentistry, there is nothing more we want to see then for you to leave with a smile on your face. We are your local dental professionals who provide you with the treatment and procedures you need to enjoy a healthy and happy smile. We offer emergency dental services right here in our state-of-the-art office. Description: At Dunedin Dental Care, we care about our patients. We want you to know that we are here for you, no matter the dental problems you may experience. We offer emergency dental services for those patients who are in immediate pain and need relief. Outside of our emergency dental services, we do provide you with an array of treatments and procedures to ensure a happy and healthy smile. 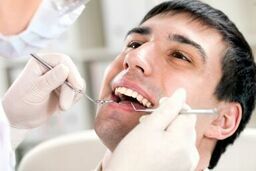 Description: Coast Dental & Orthodontics is committed to providing you with the best in dental care. We offer you a stress-free environment where you can have dental procedures performed. We provide a wide array of services from general cleanings to crowns, bridges, and even dental implants. We know that tooth pain can happen and that it why we also offer emergency dental services to our patients. No matter what type of emergency you are experiencing, call us. If you have tooth pain, you need to think about visiting an emergency dentist, especially if that pain has lasted for more than a couple of hours. Often, you will not get any other indications that there is a problem other than the pain you feel. The longer you wait to receive treatment, the worse the condition can become. It is vital that if you were involved in any type of accident that you visit your local emergency room or urgent care center first to check for injuries or broken bones. Before you visit a new dentist, you want to verify their credentials and licenses to make sure that they are who they say and that they can perform the dental procedure you need. To check their licenses and credentials, you can inquire with the receptionist on your first appointment. You can also visit the Florida Dental Association website and perform a search of the dentist’s name or practice name.